News - Jessie J quitting UK for the US? Jessie J quitting UK for the US? 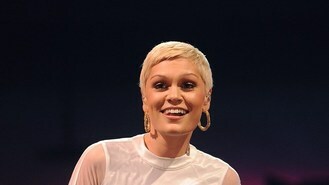 Jessie J is set to up sticks and move to the US. The Price Tag singer and former Voice coach said she wanted to crack the US market. She told the Daily Mirror: "The US is such a big market to break. It's such a different thing out there. I don't like doing anything half-heartedly, so I don't want to do the US until I can be there - so I'm gonna live there next year." Jessie, 25, lived on the West Coast briefly when she was a singer-songwriter for Sony at the age of 17, but she said she wouldn't be heading back there. "I'd rather live in New York even though it's easier to break through when you live in LA. New York's more like London," she said. "I've grown up a lot and I've realised that what I need to make myself happy is the people around you. I'll make sure people come with me - I'll just give all my friends a job." The It's My Party singer, who is touring the US next year supporting Blurred Lines star Robin Thicke, said she hoped to have a single released in the US in January. Eternal have agreed to reunite on ITV2 show The Big Reunion, but Louise Redknapp won't be back in the band. Gary Barlow has enlisted Take That pal Robbie Williams for the Children In Need concerts that he is once again organising for the BBC. Adele is the nation's dream girl - after being named the artist with the most snooze-some tunes to help people relax. Sean "P Diddy" Combs has beaten rivals Jay-Z and Dr Dre to be crowned the most lucrative rapper around. Charlotte Church has been chosen to deliver an annual lecture to the radio industry in honour of late broadcaster John Peel. Robin Thicke steered clear of controversy as he made his headlining debut at the iTunes Festival. A wall featuring the signatures of One Direction is being auctioned for charity and has already attracted a bid of more than £5,000 . Friends John Lennon and Paul McCartney pose on the streets of Liverpool before fame and moptop hairstyles take hold, in a previously unpublished photograph. Kings Of Leon have said everyone thinks they don't get on as a band - when really they just squabble like all families do.